From idea to implementation, learn the steps to start or purchase a business that will set you on the right path to success. Discussion includes business structures, regulations and licensing. Meet others who are doing the same and learn together. Bring your questions about launching your business at this introductory workshop for aspiring entrepreneurs. 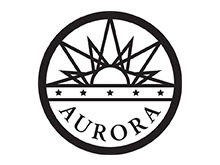 Cancellation Policy:Please read our cancelation policy at http://www.aurora-southmetrosbdc.com/cancellation-policy.